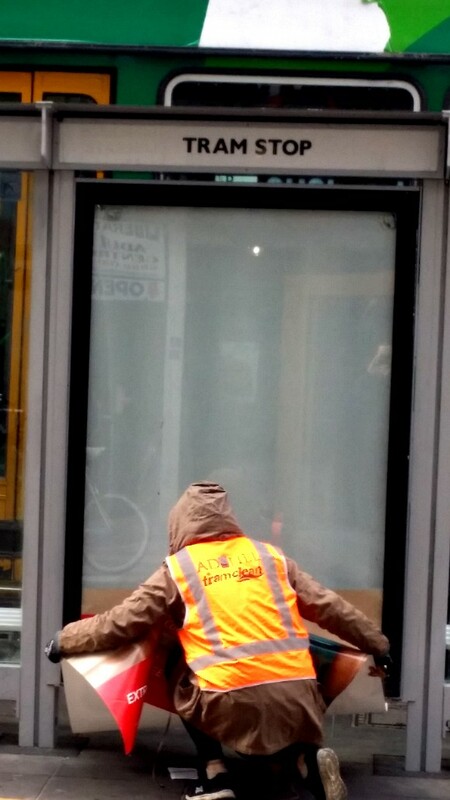 TramClean, recently dubbed Melbourne’s “hi-vis vigilantes” by mainstream media, have struck again. 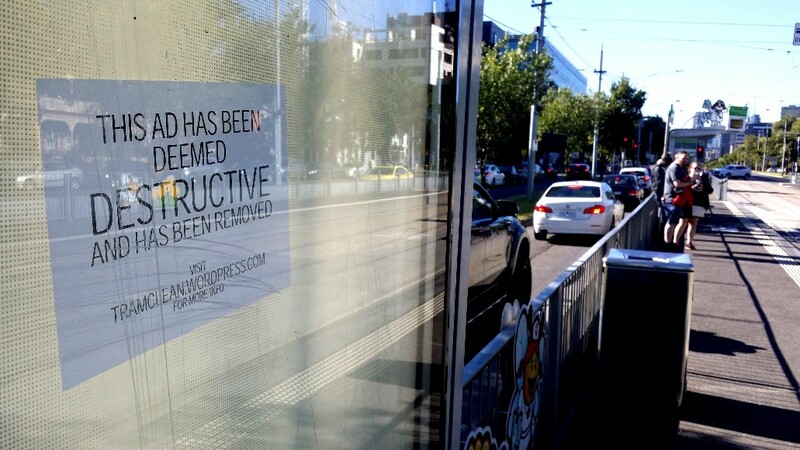 On 23rd March 2018, they removed over 50 advertising panels across Melbourne, Australia as part of Subvertisers International’s global weekend of action. 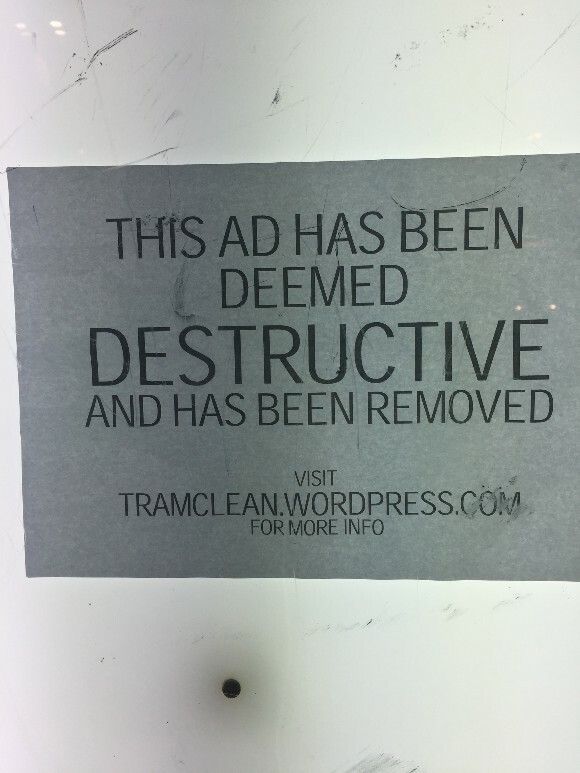 The ads were replaced with stickers reading “THIS AD HAS BEEN DEEMED DESTRUCTIVE AND HAS BEEN REMOVED” with a link to the TramClean website. 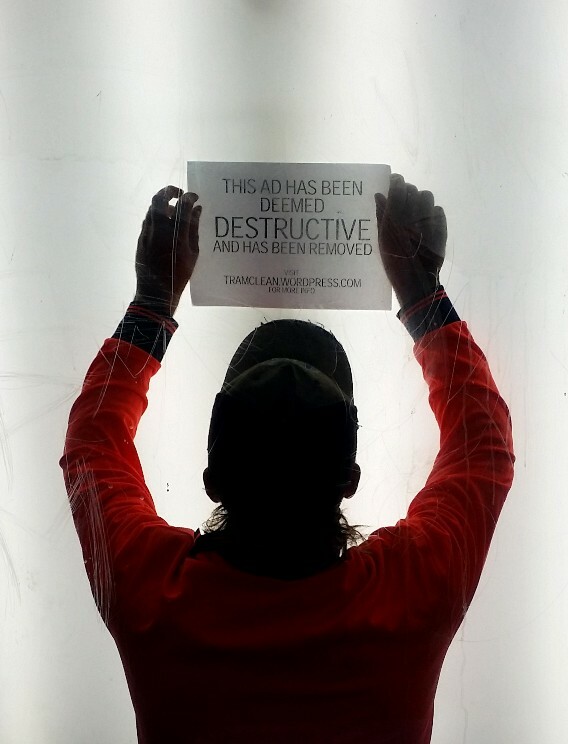 TramClean continues to take action against advertising and corporate influence despite continued and escalating state repression. 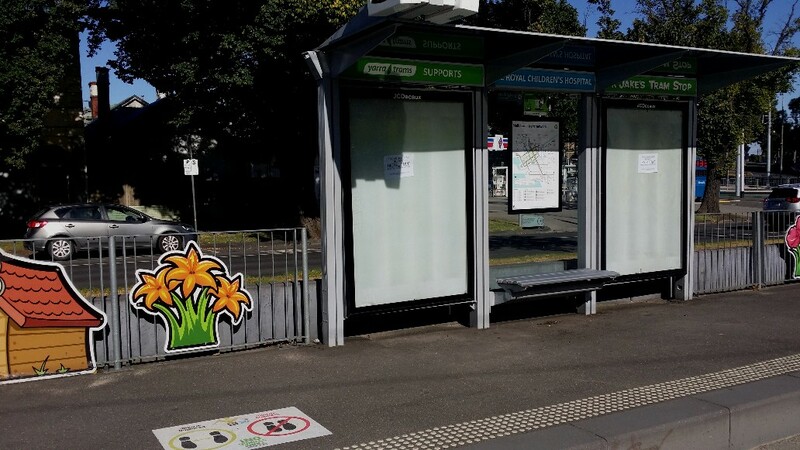 Over the last 7 months, Victoria Police, Crimestoppers, Adshel and JCDecaux have teamed up and mounted a wanted poster campaign against alleged Tramclean members, using ad boxes to urge citizens to turn snitch. 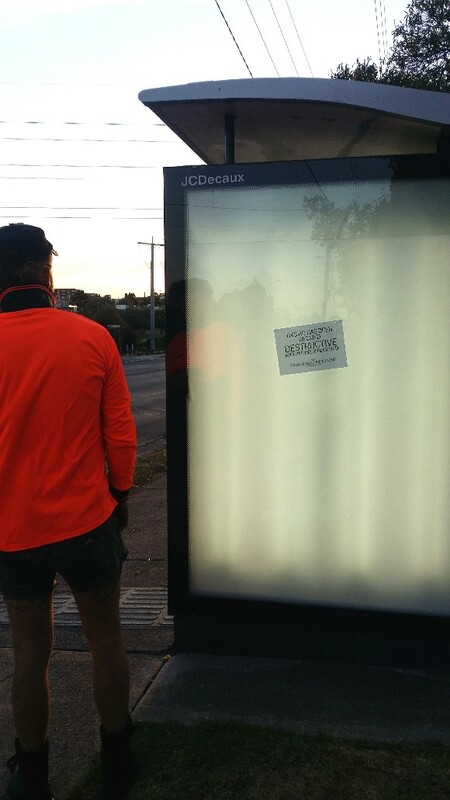 Despite their best efforts, TramClean has not been silenced and continues the fight against consumer capitalism and its propaganda wing – the advertising industry. Visit tramclean.wordpress.com for more info.